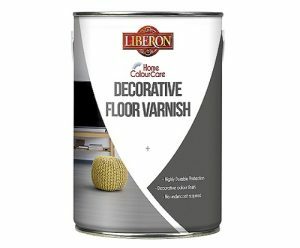 Liberon’s new Home ColourCare Range offers a uniquely decorative approach to furniture and interior restoration. Liberon is a launching its Home ColourCare range, the only range on the market to combine traditional woodcare properties with a choice of contemporary colours. An exciting woodcare solution for both upcycling enthusiasts and style savvy home dwellers, the Home ColourCare range comprises a durable Decorative Floor Varnish, multi-surface Decorative Furniture Varnish and a Decorative Furniture Wax – all available in a selection of bright pop colours, contemporary metallics and on-trend pearlised finishes. Offering the same level of protections and nourishment as Liberon’s traditional wax and varnish products, the Home ColourCare range provides a two-in-one approach to woodcare and colour. Requiring minimal surface preparation, the range offers easy application and can be used across both bare and treated wood surfaces alike. 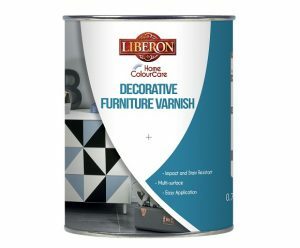 Liberon’s Home ColourCare range is the ideal choice for anyone looking to bring a new lease of life to worn furniture and interiors. For more information on Liberon’s Home ColourCare range, visit www.liberon.co.uk/products or call 01797 367 555. For woodcare, floorcare and renovation tips and advice, check out @liberonuk on Twitter and @liberonUK on Facebook.